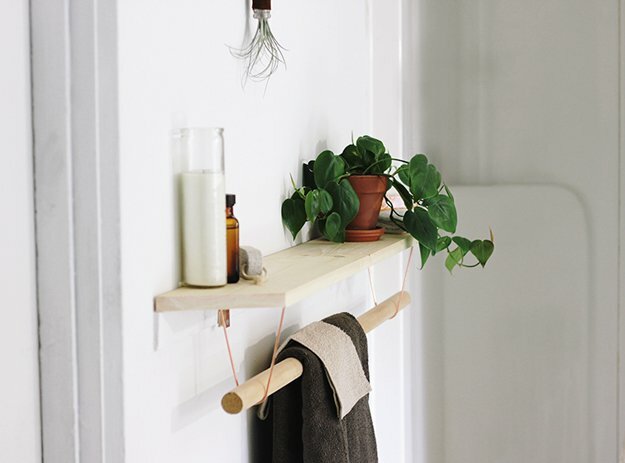 Cute shelf with towel holderCan be made by hand from a board and a wooden rod. Both can be bought for a penny in the construction market or directly in the carpenter's workshop / woodworking enterprise. For more convenience, the rod, which serves as a towel holder, is best fixed to the rope by glue or otherwise. Plus, the whole construction makes sense to treat with stain and varnish.